There was certainly a lot of hope and expectation before the race that the Ferrari vs Mercedes battle would be tight but as qualifying unfolded, it became increasingly clear that the red cars just weren't quick enough to fight against their German rivals. I had the chance to take a peek at the GPS data from the weekend which compared the Ferrari and Mercedes. The way that the Mercedes drivers are able to attack the corner entries of the medium- and slow-speed corners in particular was a big step ahead of the Ferraris. This was evident in Bahrain too, but here in China where from Turn One until Turn 13 there really isn't a long straight, the advantage that the Mercedes drivers enjoyed in the corners was just too much for the Ferrari's to overcome. In Bahrain, the point and squirt layout of the track with short and sharp corners and more long straights allowed them to claw back the deficit. Ferrari ended up with a slightly messy race with the strategy involving the two drivers which undoubtedly frustrated Charles Leclerc. I do think that they made the right call early on though. It was clear that Leclerc was dropping away from Bottas and so it seemed to be a smart call to ask them to swap so Sebastian Vettel could have a chance at chasing the Mercedes. Where it got confusing was when they left Leclerc out for so long and therefore got undercut by Max Verstappen but it seemed clear that Ferrari were more interested in seeing if they could use Charles to hold up the Mercedes drivers rather than get ahead of Max. I suppose for Ferrari they didn't really care whether Charles was fourth or fifth but either way, they were fundamentally just not fast enough to beat Mercedes this weekend. Red Bull too weren't really in the fight against Mercedes and it took a typically feisty race from Max to secure fourth, not a million miles behind Sebastian. I'm pleased for Pierre Gasly that he managed to at least get himself into the top six this weekend after a pretty miserable start to the season. The team felt like he had made a step forward in understanding the car and now the next step is to try and get within three tenths of Max in a car that still isn't quite where the team want it to be. Renault will be happy with the first points of the year for Daniel Ricciardo, although another reliability-related retirement for Nico Hulkenberg would not have gone down well. Sergio Perez and Kimi Raikkonen were able to capitalise on another race where the Haas cars struggled for race pace on the tyres while Alex Albon went from zero to hero after finishing 10th from a pit-lane start. Toro Rosso seem to have a competitive car this season and both drivers looked very quick in FP3 before Albon's crash so it was good to see him reward his mechanics for a hard night of working with that point. The incident between the McLaren drivers and Daniil Kvyat was one of the few talking points after the race. Personally, I thought that it was a racing incident and it was a bit harsh to penalise Daniil for that. 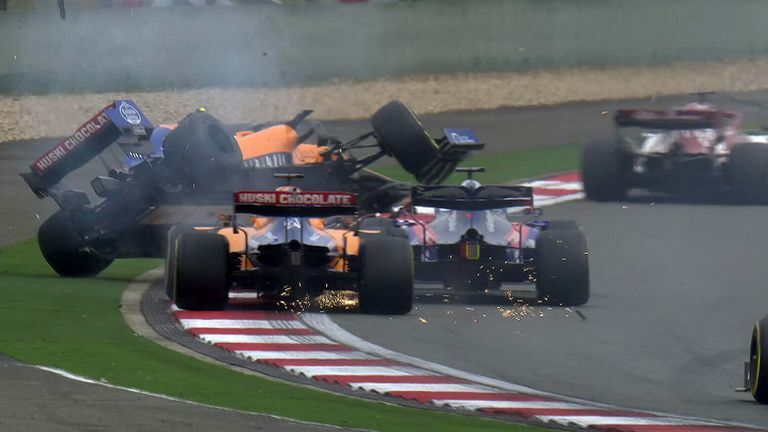 Lando had gone deep at the hairpin, run wide off the track and was trying to rejoin at speed, while Carlos found himself as the meat in the sandwich in between his team-mate and Kvyat. Yes, Kvyat had a bit of a slide but the contact wasn't intentional and also it was just a typical Lap One incident of three drivers squabbling over space for two. It was a bit confusing how the DRS didn't seem to be as powerful as everyone expected in the end and we didn't really see as much overtaking as we would have expected. 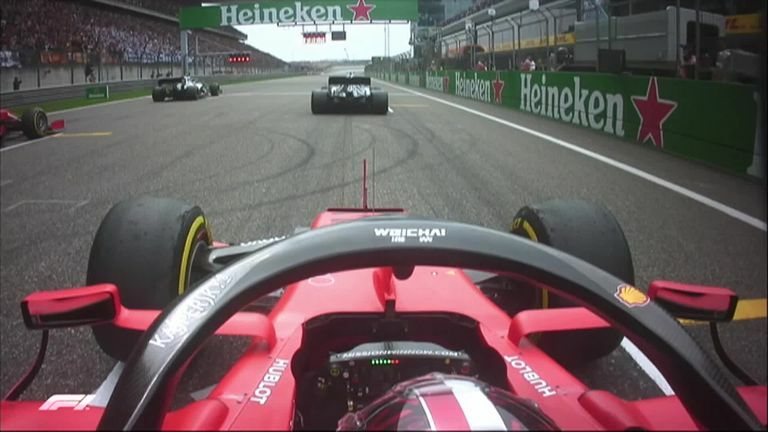 The circuit in China normally has some decent racing but on Sunday the drivers couldn't really follow closely and even when you looked at Vettel behind Leclerc, in two cars with equal power and drag levels, the DRS didn't really seem to help Seb a great deal. This is something that Ross Brawn and his technical team at F1 as well as Nikolas Tombazis and his team at the FIA would want to be looking at as they start to lock down the big 2021 regulation changes. Off to Baku next and if Ferrari are going to fight for this world championship, they need to get on with it and not let Mercedes run away any more than they have already. Hamilton is now 31 points ahead of Vettel and actually Verstappen is ahead of both Ferrari drivers after three strong performances in a row. Baku is a very tricky track for the teams and drivers as we have the longest 'straight' of the season (albeit with a couple of flat out corners) combined with some very slow and tricky corners. Getting the compromise in terms of a low drag set-up for the straights and downforce for the braking zones and the corners will be vital to success and creates plenty of headaches for the engineers as they try and guess what the opposition are going to do. Being a street race throws in the added chaos of the walls being close and inevitable safety cars so fingers crossed that we have another exciting race in Azerbaijan!